Due to the diversity and international supply, the interest of the Iranian Food industry was great. With over 40,000 visitors, the crowd was enormous during the fair. The FD Waagenbau GmbH participated with a booth, which belonged to the community booth of the German Pavilion. 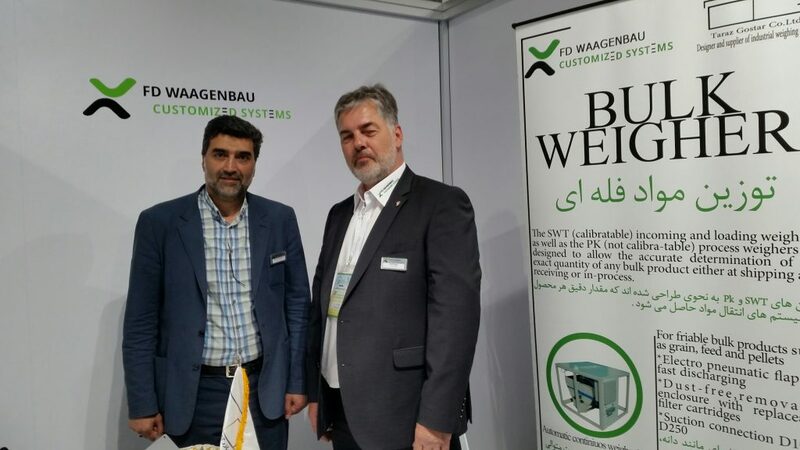 The Fürstenwalder scales manufacture presented, in cooperation with which Iranian partner TARAZ GOSTAR, efficient bulk and dosing scales, under the label “made in Germany”. The “Shorty” small packaging lines have aroused great interest. Obviously it is a worldwide problem to pack powdery or lumpy media cost-effectively and still precisely in small packages. The variety of spices, nuts, fruits, flowers, etc. is inexhaustible and must be packed in any case. Due to the high accuracy, which the scales of FD Waagenbau provide, these are ideally suited. Furthermore convinced the gross bagging scale “B-SWA” by quality and flexibility. For us, FD Waagenbau GmbH, the fair was a complete success. Numerous contacts were made and customer discussions were held. The Iranian partner TARAZ GOSTAR will provide local support to prospective buyers from the Middle East. In addition, they will act as a distribution partner for FD Waagenbau in this region in the future.